While no macular degeneration treatment currently approved for use in the United States is likely to completely restore vision lost to the eye disease, some drugs — such as Lucentis — may be able to slow or prevent additional vision loss or even improve remaining vision to some extent. Also, certain investigational treatments have shown promise for reversing at least some vision loss in people affected by age-related macular degeneration (AMD). approved a tiny, implantable device that magnifies images onto the retina to improve central vision damaged by AMD or Stargardt's macular dystrophy. The Implantable Miniature Telescope (IMT) from VisionCare Ophthalmic Technologies magnifies the overall image while reducing the relative size of the central blind spot caused by macular degeneration. About the size of a pea, the device is for certain people who experience severe vision loss caused by advanced ("end-stage") macular degeneration. "The clinical results from the pivotal FDA trial have proven we can place this tiny telescope prosthesis inside the eye to help patients see better and, for some, even to levels at which they can recognize people and facial expressions that they could not before," said Kathryn A. Colby, MD, PhD, ophthalmic surgeon at Massachusetts Eye and Ear Infirmary in Boston and an assistant professor of ophthalmology at Harvard Medical School. In June 2012, VisionCare announced the IMT implant became available nationwide as part of its CentraSight treatment program for people with end-stage AMD. Also, the treatment is covered by Medicare for eligible patients who have central blindness in both eyes that cannot be corrected with eyeglasses, contact lenses, medication or other eye surgery, the company says. Lucentis. Approved by the FDA in June 2006 for treating the more advanced or "wet" form of macular degeneration, Lucentis (ranibizumab) is a form of the colorectal cancer treatment drug, Avastin. Lucentis works by inhibiting proteins called vascular endothelial growth factor (VEGF), which stimulate the growth of new blood vessels in the body. VEGF is thought to contribute to development of macular degeneration by promoting the growth of abnormal blood vessels in the retina. Watch this video to learn about the CentraSight treatment program for end-stage macular degeneration. Genentech, in collaboration with Novartis Ophthalmics, markets the drug. Lucentis clinical trial results leading to FDA approval were quite positive, especially when compared with outcomes of previously approved treatments. In late 2005, Genentech announced results of one study demonstrating improved or stable vision in about 95 percent of participants, compared with only about 60 percent of people receiving another approved treatment. Vision improvement with Lucentis was significant. While only 11 percent of the control group could see 20/40 or better following the study, about 40 percent of Lucentis patients were able to do so. Overall, about one-third of patients undergoing Lucentis treatment in FDA clinical trials experienced vision improvement. Lucentis is administered through monthly injections into the eye. An FDA news release about the approval said rare adverse reactions to the drug mainly were associated with the injection itself. Complications of Lucentis treatment can include inflammation within the eye (endophthalmitis), increased eye pressure, traumatic cataract and detached retina. For the "wet" form of macular degeneration, injections of Macugen, Lucentis, Avastin or Eylea are made directly into the eye. The above-mentioned cancer drug Avastin is considerably less expensive and appears to produce similar results in macular degeneration treatment, though it is not FDA-approved for this use. The Lucentis vs. Avastin debate continues while an ongoing clinical trial compares outcomes and safety of the two treatments. The first-year results of the Comparison of AMD Treatments Trials (CATT) were announced in May 2011, with effectiveness deemed about equal but long-term safety not yet compared. Macugen. This treatment for AMD uses a therapeutic molecule to attack VEGF in the eye. Macugen, developed by Eyetech Inc. and Pfizer, is administered through injections into the eye, with treatments required every six weeks. In clinical trials, 33 percent of patients receiving Macugen maintained or improved their vision compared with only 22 percent in the control group. Macugen also helped slow the rate of vision loss for many age-related macular degeneration patients. Fewer than 1 percent of patients receiving Macugen experienced serious side effects such as a detached retina or endophthalmitis. Less serious side effects, such as eye floaters and discomfort, occurred in up to 40 percent of patients. Eylea. Like Lucentis and Macugen, Eylea is designed to inhibit the action of VEGF in wet (neovascular) AMD. It gained FDA approval for this purpose in November 2011. A potential benefit of Eylea, also known as VEGF Trap-Eye, is that its recommended dosage is an injection into the eye every eight weeks (after three initial monthly injections), rather than every four weeks like Lucentis. Eylea was developed by Regeneron Pharmaceuticals and Bayer HealthCare. Regeneron reported that pre-approval clinical trials showed benefits and side effects that were similar to those of Lucentis. Two studies published in American Journal of Ophthalmology in July 2013 showed that eyes with chronic wet AMD that were resistant to multiple injections of Lucentis or Avastin (or both) demonstrated stable visual acuity and reduced severity of AMD appearance with less frequent injections of Eylea. Based on these findings, the study authors concluded Eylea is an effective alternative to Lucentis and Avastin for the treatment of neovascular AMD, with the added benefit of less frequently required injections.
) under the retina in a well defined, distinctive pattern known as "predominantly classic." About 40 to 60 percent of new wet AMD patients have this form of the disease, according to Novartis, the company that markets Visudyne. 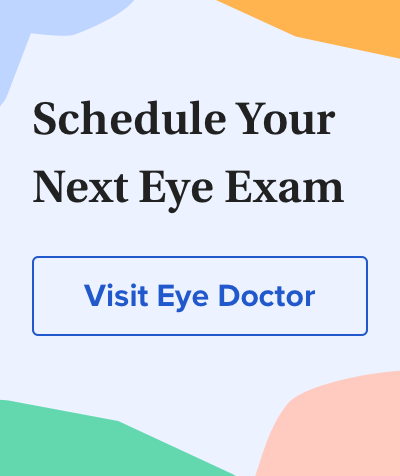 In this treatment procedure, the doctor injects Visudyne into your arm, then activates the drug as it passes through the retinal blood vessels by shining a low-energy laser beam into your eye. Visudyne is activated by the laser light, which produces a chemical reaction that destroys abnormal blood vessels. The procedure is virtually painless, according to Novartis. One in six Visudyne patients shows improved vision, or about twice as many patients as those who do not undergo Visudyne therapy. Recent studies also indicate significant slowing of AMD progression in many patients receiving Visudyne drug treatment. In one study, 225 eyes with wet AMD were treated with Visudyne, and 114 comparable eyes were not. After 24 months, legal blindness occurred in 28 percent of the Visudyne group and in 45 percent of the non-treated group. Visudyne sometimes is used in addition to Lucentis or Avastin as a treatment for wet macular degeneration. Other light-activated drugs designed to perform in ways similar to Visudyne are currently in development. In laser photocoagulation treatment of wet AMD, a laser is used to destroy and seal off new blood vessels to prevent leakage and further damage to the retina. Laser treatment. Laser photocoagulation is another macular degeneration treatment for wet AMD. The procedure uses laser light to destroy or seal off new blood vessels to prevent leakage. A major drawback of laser photocoagulation, however, is that it produces many small retinal scars, which cause blind spots in the patient's visual field. For this reason, the laser procedure is no longer widely used to treat AMD. Scientists are working on ways to reduce the scarring and also are studying laser treatments for dry macular degeneration, but progress has been slow. or CNV) that would qualify them for this type of treatment. And in recent years, treatments such as Visudyne photodynamic therapy have become more popular than laser photocoagulation for the treatment of wet macular degeneration with CNV. In the future, investigational macular degeneration treatments that are not yet FDA-approved may provide even better outcomes than those that are currently available. vitamins and other nutrients may reduce the progression of AMD among people with high risk of vision loss from macular degeneration. Two large clinical trials sponsored by the National Eye Institute (NEI) — called the Age-Related Eye Disease Studies (AREDS and AREDS2) — evaluated the effect of nutritional supplements on the progression of macular degeneration among people with various stages of AMD. Each study included more than 3,500 participants and the average follow-up period was at least five years. In 2006, the NEI began the AREDS2 study with the goal of evaluating changes to the original AREDS formula that might provide even better protection against vision loss from advanced AMD. AREDS2 results, published in 2013, revealed that adding lutein and zeaxanthin to the original AREDS formula reduced the risk of the progression of AMD to advanced stages by 10 to 25 percent, depending on the amount of these nutrients in participants' diets before supplementation. Addition of omega-3 fatty acids to the formula did not reduce the risk of AMD progression. The researchers also evaluated the effect of removing beta-carotene from the original AREDS formula, because high doses of supplemental beta-carotene have been associated with increased risk of lung cancer in current and past smokers. In AREDS2, participants randomly assigned to take the supplement with beta-carotene had a significantly greater risk of developing lung cancer than participants taking the formula without beta-carotene. Based on the results of AREDS2, many eye care professionals who prescribe eye vitamins are now recommending nutritional supplements that contain vitamin C, vitamin E, zinc, lutein and zeaxanthin, but without beta-carotene (especially for patients with a history of smoking). Short-term outcomes of aflibercept for neovascular age-related macular degeneration in eyes previously treated with other vascular endothelial growth factor inhibitors. American Journal of Ophthalmology. July 2013. Conversion to aflibercept for chronic refractory or recurrent neovascular age-related macular degeneration. American Journal of Ophthalmology. July 2013.